Sheri Crider wants to know why Americans want new and shiny things — and what they do with the rest. Crider started drinking at 11 years old and by high school, she was using other drugs. From 1985 to 1993, she served about a dozen short sentences on drug-related charges and for violating probation, and did several stints in court-ordered drug treatment programs. At one of those programs in Casa Grande, Arizona, in the late 1980s, a counselor there asked her: What do you like to do, and what are you good at? “No one had ever really asked that question,” Crider said. Talking to the counselor, she remembered being praised for her art in fourth grade, when she was chosen to attend advanced art classes in Phoenix. It was a crucial moment, she said. 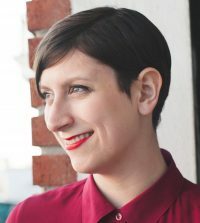 Within six months, she had enrolled in community college and would eventually transfer to the University of Arizona, where she earned a Bachelor of Fine Arts. At the University of New Mexico, she earned a Master of Fine Arts while studying sculpture and developed a fascination with building. 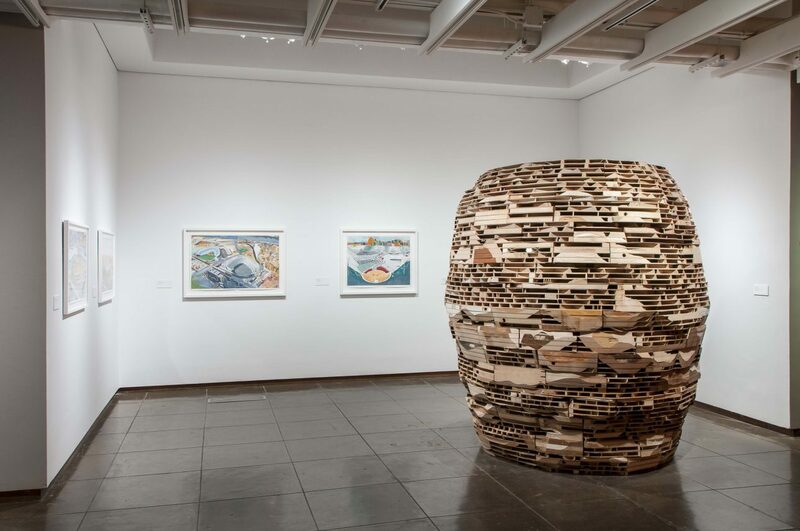 That awareness — of how to reuse materials and even buildings — would become central to her work. In 2008, Crider opened the SCA Contemporary Gallery, an organization that sought to give free exhibition space to artists, in the Wells Park neighborhood of Albuquerque, New Mexico. Eight years later, she moved the gallery to a building that formerly housed M & J’s Sanitary Tortilla Factory, a popular restaurant for more than 30 years. The gallery kept the restaurant’s name out of respect for its role in the community. Now, it houses 15 artist studios, exhibition and fabrication space and a residency program. Her installation “Drift #1,” co-produced with local artist Nina Dubois, took materials at a local landfill and used them for a large sculpture that have appeared at exhibits in New Mexico and Philadelphia. In particular, doors are discarded much more frequently than people may expect, she said. “In one week at this small local door store, there will be at least 250 doors that are abandoned. The majority of them are due to fashion. They’re out of style,” she said. 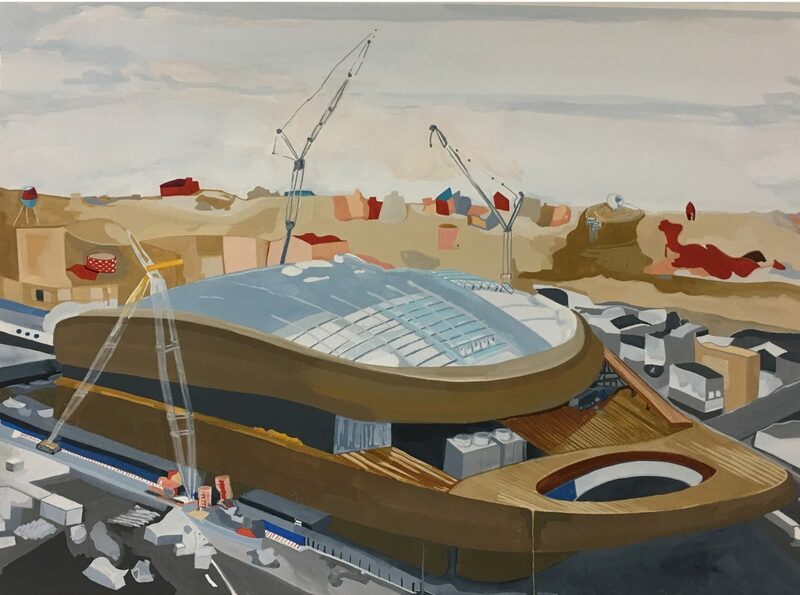 Her recent series “Obsolescence + Opulence” also addresses these ideas with paintings of large public arenas like the Barclays Center in New York City and Meadowlands in New Jersey. 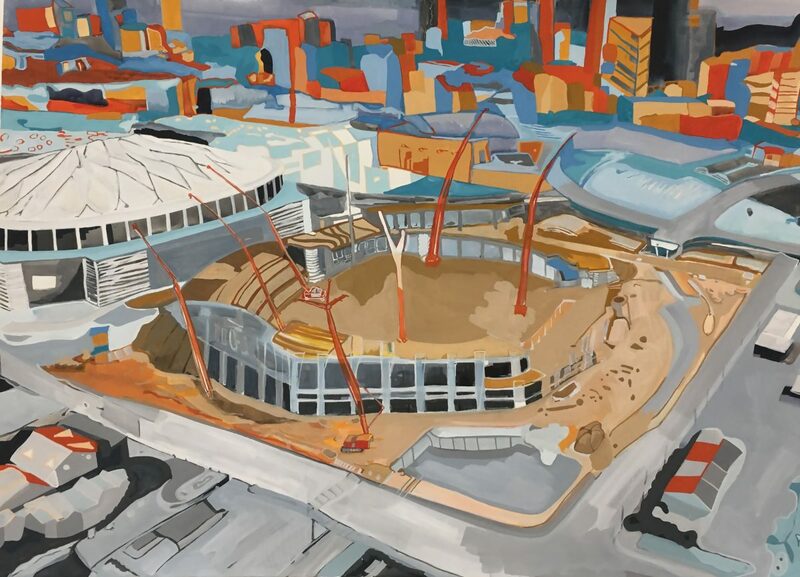 Stadiums, Crider said, are spaces where Americans of diverse backgrounds mingle for a common interest — but also where some of the country’s starkest inequalities are on display, as their construction can push out low-income communities and exploit workers. 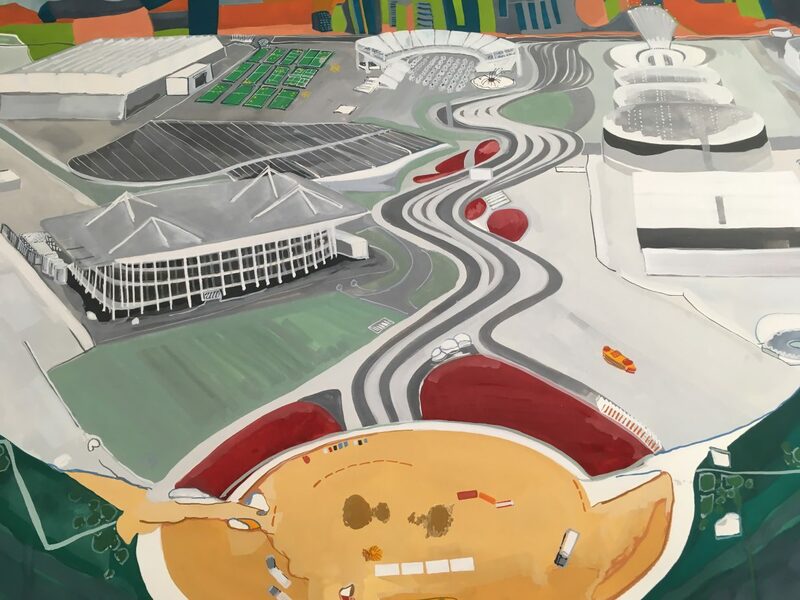 In one painting, Crider reimagines the Rio Olympic stadium as a refugee camp, mirroring the reality of Olympic hockey and baseball stadiums in Greece that have been repurposed as camps for refugees. 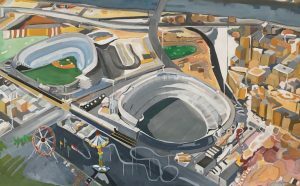 The series debuted at the New Mexico Museum of Art in Santa Fe in 2016. Soon, her work will expand to address incarceration directly. For the fellowship, she proposed “La Migracion,” an installation of wooden birds made from repurposed church pews that will be presented alongside stories from immigrants incarcerated at a local detention center. The project will also donate money to the New Mexico Immigrant Law Center. For another upcoming project, Crider has organized a two-week sketchbook exchange between local artists and young women in the Bernalillo County Juvenile Detention Center. She hopes it will help build connections between those who are incarcerated and others in the community. “I want to give them at least … the ability to ask themselves questions, to be the author of their own lives,” she said.